Why will investor choose my innovation?  The final selection of the innovation that will be funded depends on several factors that need to be presented in a sound and concise manner during the negotiation phase with investors. In order to achieve higher degree of the investor readiness it assumes previous preparation and gaining knowledge about investor, their goals and priorities as well as potential appetite for risk. 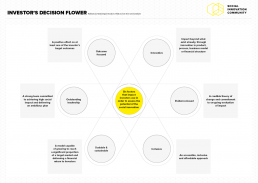 The decision flower can be adapted according to the type of the investor and it will vary depending whether innovator is applying for grant, social incubator/accelerator’s support, private equity investor etc. The aim of this tool is to prepare arguments that will persuade investor that our innovation has the greatest potential for impact and public benefit. The participants are asked to provide strong and brief arguments about the key factors that influence investors’ decision on funding. They are encouraged to back up their statement with concrete figures and facts such as already achieved impact or realistic projections of the financial returns.